KUHN Farm Machinery has been awarded the Manufacturer Excellence Award for Parts and Customer Service in the 2018 Agri Machinery Trade News Awards. The 2nd annual Agri Machinery Trade News Excellence Awards took place in Manchester, with the winners and their guests treated to a technical tour of Concorde. The awards were created to recognise and reward excellence by people in the farm machinery trade. 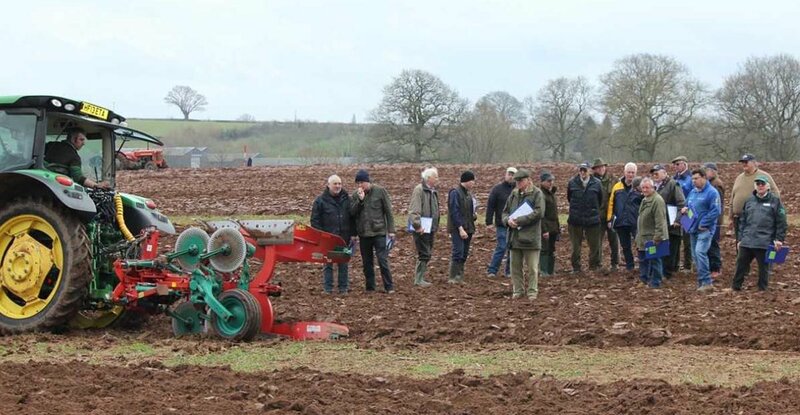 Voting took place between October and December 2017, with members of the farm machinery trade encouraged to vote for their suppliers, colleagues and team members whom they felt had given outstanding service throughout the year. KUHN Farm Machinery received the Manufacturer Excellence Award for Parts and Customer Service, with one dealer describing the support KUHN gives to new dealers as “excellent and fast”. The same dealer also described KUHN as an “incredibly forward thinking company”. Another dealer stated that “KUHN are always happy to help their dealers, with the parts team being very knowledgeable and friendly”. Sian Pritchard and Daniel Banks of KUHN Farm Machinery were presented with the Manufacturer Excellence Award for Parts and Customer Service by Brian Warbrick of Aldermore.